Need extra money for travel? Enter the third annual Tipton Associates Travel Award competition by February 28, 2019, for a chance to win $1,700 to be used for travel within a university-approved study abroad program during the 2019-20 academic year. Application criteria, requirements, and timeline details are provided below. Tipton Associates is a Baton Rouge based architecture, interiors, and planning firm with a 130-year history of enhancing the quality of life for individuals and communities through its emphasis on excellent design. Led by LSU School of Architecture alumnus Ken Tipton, BArch 1981, the firm has an interdisciplinary focus; projects are about partnerships and working together with smart people to implement a shared vision. The 30 people in the Baton Rouge office approach assignments in collaborative, interdisciplinary teams that include specialists in architecture, interior design, urban planning, and landscape architecture as well as LEED Accredited Professionals. The team is the core of everything done at Tipton Associates. In this vein, Tipton Associates wanted their firm’s gift to represent their philosophy of interdisciplinary work, which is why students from any design discipline at the LSU College of Art & Design are encouraged to submit an application for the Tipton Associates Travel Award. Full-time, rising fourth- and fifth-year BArch and BLA students as well as junior- and senior-level BID students who have a 2.5 or higher GPA may apply. Full-time MArch and MLA students who have a 2.5 or higher GPA may apply. Student must use the award for travel in the 2019-20 academic year. Students graduating in May or August 2019 are not eligible for this award. Submit a portfolio of up to 25 8×10 pages of your work. Your portfolio may be one project or many; we are looking for the best representation of you and your work. Submit a brief letter, 750 words or less, of how you intend to use the funds and how you imagine the travel will impact your studies. All applications should be submitted digitally in PDF format. File should not exceed 20MB and should be emailed with the subject line “Tipton Associates Travel Award” to amick@lsu.edu. Call for entries are open as of November 16, 2018. All applications must be submitted by midnight, February 28, 2019. A panel of industry professionals representing each discipline—architecture, interior design, and landscape architecture—will judge the submissions and select a winner by April 30, 2019. All applicants will be informed of the status of their application no later than May 4, 2019. The winning student will be awarded $1,700 stipend to be used for travel during the summer 2019, fall 2019, or spring 2020 semesters. If you have any questions about eligibility for the scholarship or how to apply, email amick@lsu.edu. Need ideas on where to go? 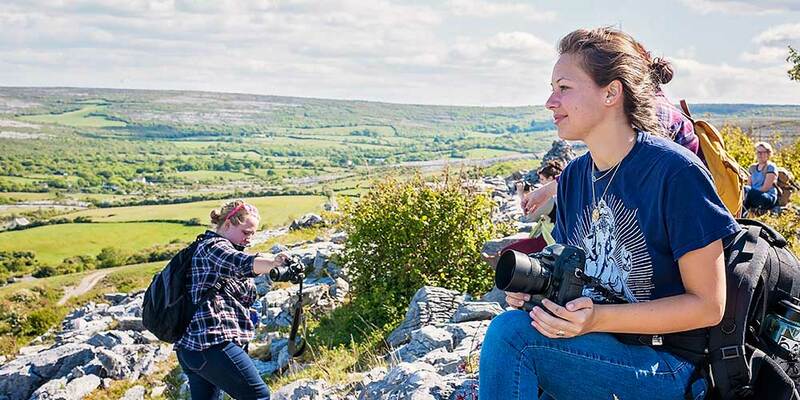 The LSU College of Art & Design offers several Academic Programs Abroad, including a full semester in Rome and intersession programs in China, South Africa, Ireland, and more! Visit Academic Programs Abroad for more information. View more LSU College of Art & Design scholarship & award opportunities.